Tip #37: Oh, please! Can I keep ˜em? Applicants with pets are becoming the majority. With vacancy rates high, your no-pets policy may be hurting your profitability. On the other hand, pets have the potential to cause damage, and increase your liability in the event they hurt someone. If you are thinking about allowing pets, review (or create) your pet policy before you advertise your next vacancy. Find out what is legal in your area. Exotic pets and aggressive animals are a huge risk for landlords, because in many cases strict liability applies. That means the landlord could be liable to a victim regardless of how stringent the pet policy is or how carefully the tenant manages the pet. Some cities require you to exclude certain breeds of dogs. However, while screening based on breed is popular, it’s not very effective. Likewise, screening based on size is not the best indicator of a dog’s temperament — you’ll see some mean miniature poodles out there! Meeting the pet and getting references are your best bets. Make sure your policy is explicit in the lease. Be specific as to which pet can move in. Make sure any future pets have to be screened. Prohibit pet sitting. Restrict roaming of common areas. This applies to your property manager’s pets as well. Require vaccinations, and flea abatement if that’s a problem in your area. Waste disposal, noise mitigation, and emergency procedures should be included. Charge a pet deposit, and make it clear when the pet can get the boot. If an animal becomes aggressive, kick it out–immediately! If you see an animal behave aggressively, for example, it bit the maintenance worker when he came in to fix the faucet, tell the tenant it has to go. If they refuse, evict the tenant. 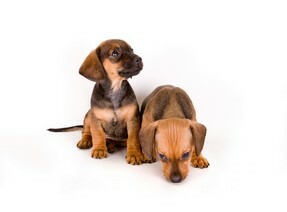 Landlords may be liable for dog bites and other injuries caused by animals if the landlord has witnessed the animal’s propensity for vicious behavior. Sometimes the standard is even higher — whether the landlord should have known such an animal is dangerous. Once an animal has shown aggressive behavior, it will likely get worse. Your own observations, or complaints from neighbors or other tenants tip you off. You must act immediately to avoid liability. They may have additional restrictions that affect your coverage, as well as resources that may help you develop your pet policy. Do you have a quick tip to share with other landlords? Please email our editor at customerservice@aaoa.com.